Database icon with update symbol. 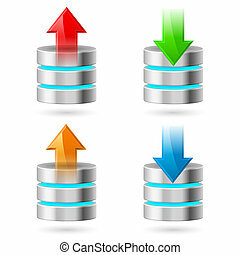 Database icon with update symbol - red curved arrow. illustration on white. 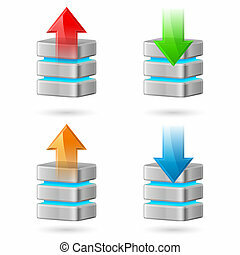 Database Icon With Update Symbol. Database icon with update symbol - red curved arrow. Illustration on white. vector black cloud with arrow icon on white background. eps 10. Monitor with gears hand drawn outline doodle icon. 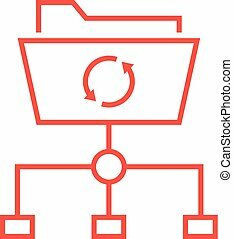 Monitor service, setting options, support software vconcept. Vector sketch illustration for print, web, mobile and infographics on white background. Sync icon for business, e-commerce. Vector line icon with the image of circular arrows of different sizes 192px, 108px, 48px, 24px for web design and design of mobile applications. 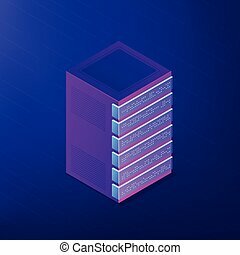 Isometric database concept. Organized with raws, columns and tables, collection of relevant information, access management and update on ultra violet background. 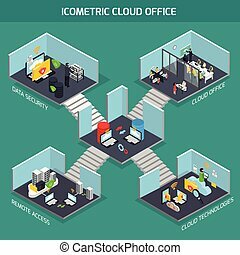 Vector 3d isometric illustration. Users working on laptops with data entry. 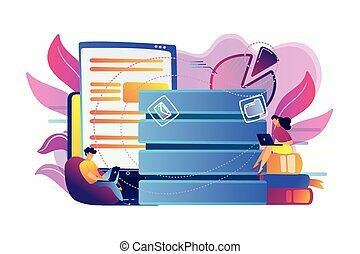 Big data services and technology, information entry equipment, database update and data management concept, violet palette. Vector isolated illustration. Database icon with update symbol presented as red curved arrow. Illustration on white background. Database icon with update symbol presented as red curved arrow. Illustration on white. Database icon with red curved arrow as update symbol. Illustration on white.